Gorakhpur city is the administrative headquarters of the Gorakhpur District and Gorakhpur Division. 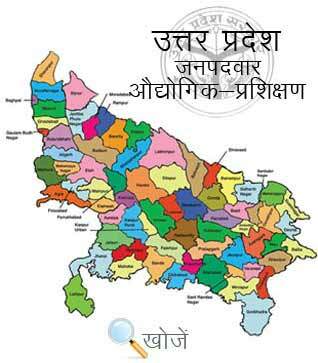 It’s one of the major cities of Uttar Pradesh. The literacy rate of the city is 70.83% which is higher than the state average of 67.68%. The best part of the city is education. Deen Dayal Upadhyay Gorakhpur University and Madan Mohan Malviya, University of Technology is the popular institutions of the city. It has great medical colleges, sports colleges, arts colleges, schools, ITI’s for the students to get higher education. Technical education and knowledge is an important part of education, especially in the modern era. ITI’s or Industrial Training Institutes are opened by the Govt. of India to give technical as well as non-technical education to the students. Vyavasayik Pareeksha Parishad (www.vppup.in) Uttar Pradesh is responsible for conducting the entrance examination for admission to various trades in ITI’s. At present, the city has 6 Govt. ITI’s and 70 Private ITI to provide training in over 130 specialties. Training is imparted in 73 engineering, 48 non engineering and 05 exclusively for visually impaired of duration from 6 months to 2 years. Minimum age requirement is up to 14 years. Matriculation is the basic qualification to enroll in these trade courses. Aspirants can visit www.upiti.in is another can online comprehensive database of information that provides detailed information to the students regarding admission, important notifications, results, online downloading application forms etc. to save their valuable time.